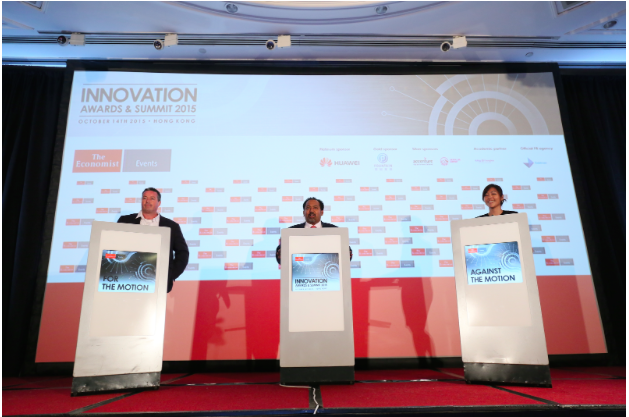 At the recent Innovation Awards & Summit 2015 by The Economist, I was honored to represent Malaysia on a global forum, where I was engaged in a lively oxford-style debate with Steve Monaghan, AIA’s Regional Director and Head of Innovation. I was given the task to argue against the motion on whether Asia’s established firms – the “old guards” – can survive the era of digital disruption and out-innovate the younger startups. Since 80% of the audience supported me against the motion, I thought it would be interesting to share the contents of my opening arguments here. The following are excerpts from my debate in Hong Kong. As the term “innovation” has been overused in many ways and for the purposes of this debate, let me offer my definition so that we are all on the same page – Innovation is about creating new solutions to new problems, and is meant to disrupt existing industries and business models. Although big firms in Asia have done well in the past, for example, Toyota invented lean manufacturing and Samsung’s mobile devices have dominated the Android market, the argument today is whether these old Asian firms are most innovative compared to 1) its western counterparts and 2) startups around the world (Tencent, Alibaba, Uber, Facebook, etc), and I would argue that they’re not. These incumbents have struggled to move quickly and would have to adapt or die. I believe most will die. When 90% of the Dow Jones Industrial Average constituents have changed over the past 50 years, it’s obvious that innovation happens when the small fish eats the big fish. it tough for corporates to move fast enough against their challengers as they risk cannibalizing their core business. They also have to fight internal politics for resources and mindshare. Even if they did invest and eventually acquire some startups, the heavy dinosaur culture will end up killing the startup once inside. Big companies are run by salarymen and women. Bureaucracy, risk aversion and current compensation structures simply doesn’t financially incentivize big companies to innovate. DNA or Tradition – Asia especially is a land never conquered by institutional shareholders. 67% of Asia’s biggest conglomerates are state- or family-run. Unfortunately, today, 65 of Asia’s state-owned firms have lost a trillion dollars in value since 2007. Its downfall attributed to: dependency on state lending policies, no accountability from outside investors, and not nimble enough to cope in dynamic markets. In fact, this risk is highest in banking and telcos. Japan’s mobile phone operator, NTT DoCoMo, has struggled to keep up. In China, Alibaba, Tencent and Xiaomi have all secured banking licences to take on the country’s 4 state-owned banks. As firms mature and compete in global markets, the Asian conglomerate model of protectionism has to be reformed. Data – While most big companies have a large user base and copious amounts of data, data has never been central to the old guard’s strategy and culture in making product or marketing decisions. In smaller more agile startups, data is constantly used to run experiments and validate new ideas. This results in better data-driven decisions. The Ubers, WeChats and Facebooks of today are valued as data companies to justify the premiums in valuation. Big companies will not be able to catch up to this. 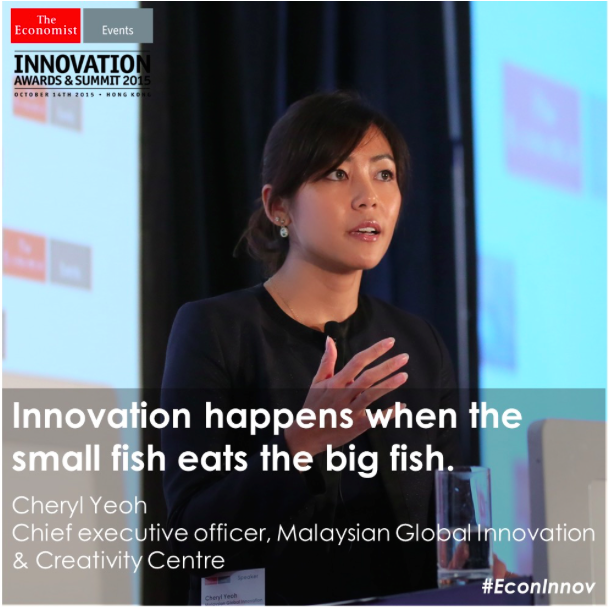 By definition, innovation requires new thinking. It’s very difficult for an incumbent to seed innovation from within. In fact, it’s almost impossible. Even if corporate incubators are successful, these so-called innovations are still bolted to the core businesses. Any big company R&D spend goes to incremental improvements: how to make existing products cheaper, faster, better. Startups will completely disrupt existing business models and make current competition irrelevant. For established companies in Asia to survive, they have to firstly de-establish themselves, forcing a complete reinvention. Therefore, Asia’s established firms will NOT survive in its current shape and form. Even Google boldly restructured itself into Alphabet. It’s no longer just a search company, but a company with moonshot projects. This move was crucial for Google’s own survival over the next 50 years. A startup’s biggest advantage is its agility. “Premature abandonment of the core” is the agony of most market leaders. Business models that make them good now actually make them bad at disruption. Most still have considerable value they can and should extract from digitizing operations, so they play defensive. But traditional profit pools are leaking. Competitive dynamics – such as unpredictability, rapid acceleration, recombination of the value chain – place a premium on foresight, experimentation, and fast execution. Economic conditions such as free trade and global e-commerce; New social trends; how social networks have become our primary communication mode, have fundamentally changed the way we work. As society moves up the Maslow’s Hierarchy of Needs, old Asian firms who achieved riches from providing basic infrastructure are no longer relevant. While boardrooms can identify the need to change, it’s rarely translated into action. New global firms who can appeal to the “self-actualization needs” of the rising middle income class, will prevail. If big established firms are dinosaurs, startups are like leopards who CAN change its spots quickly. Many of Asia’s dinosaurs do not have the courage and foresight to embark on such radical transformations, and hence are not the most innovative. To conclude the debate and the forum, it was unanimously agreed that change is most important for innovation. 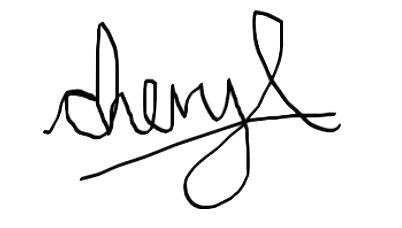 Ong Chih Ching, chairman and executive director at the Singapore-based KOP Limited shared, “The biggest enemy is change. But if you want to be innovative, to a certain extent you have to change,” she added. Great post Cheryl. Love reading your insights. Just wondering, Is that your real sign? It is like a big plane. It cannot make fast turn like small plane. They just don’t have that agility. It is like a big lane. It can’t make fast turn like a small plane. It just don’t have that agility.